Workshop in the Former American Embassy, 6 April 2019, The Hague. 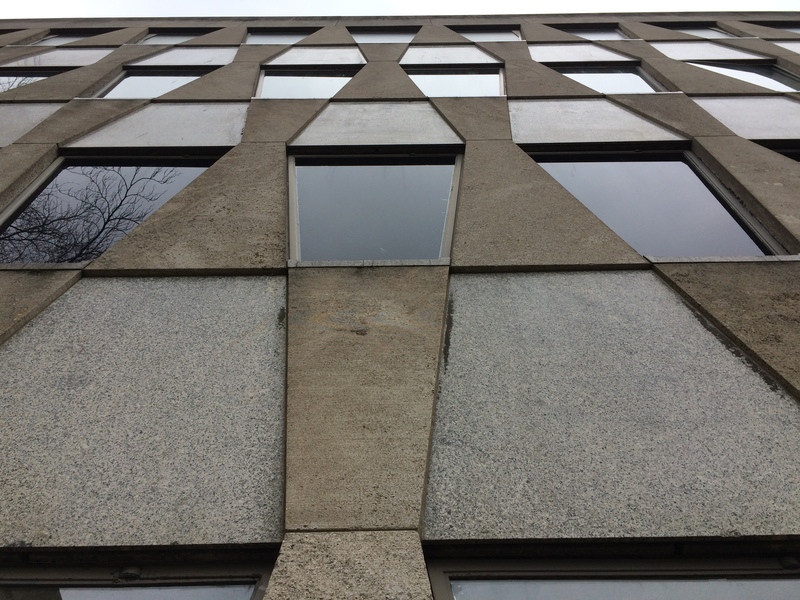 Through this project we seek to invite colleagues from the arts and research into the remarkable former American Embassy, a brutalist monument by Marcel Breuer in the centre of The Hague. We posit the building as a prism through which to explore connections between art and international law. Avenues of inquiry include but are not limited to: the building’s specific aesthetics and identity, as well as the tenets of brutalism more widely, and how these may speak of the international; the building as a counterpart in our work; as a time capsule; as a hallmark of simultaneous global and local everyday life; the building as spectacular, as visualisation of international law; as manifestation of international law’s materiality; the building as a space, or a site; the building as a story, an image, a sound, a fantasy; the embassy as powerful, or as failed. Special thanks to: Anna Vastgoed & Cultuur, West, Dutch Design Brand, VU University Amsterdam, and the Centre for the Politics of Transnational Law. Listen to Guy Livingston’s podcast “The Bug” weekly on iTunes.